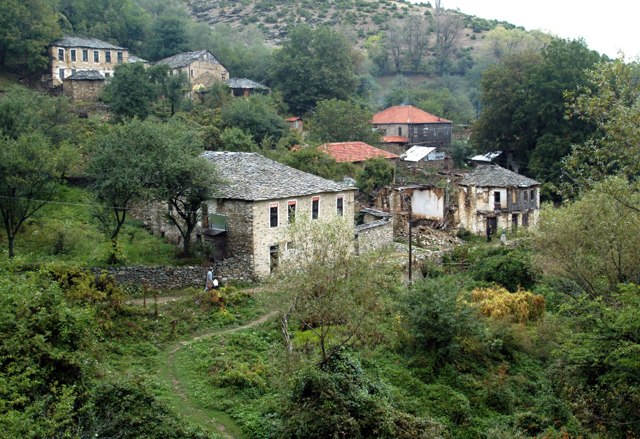 Malovishte is a mountain village located in the Pelister National Forest about 24 kilometers east of Bitola (Битола) in southwestern Macedonia. 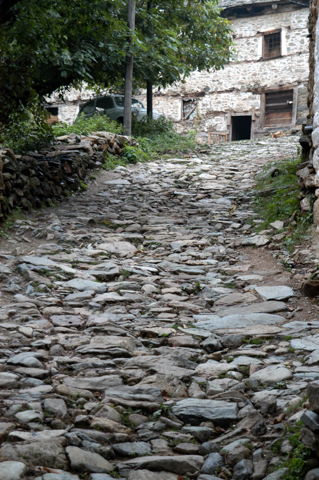 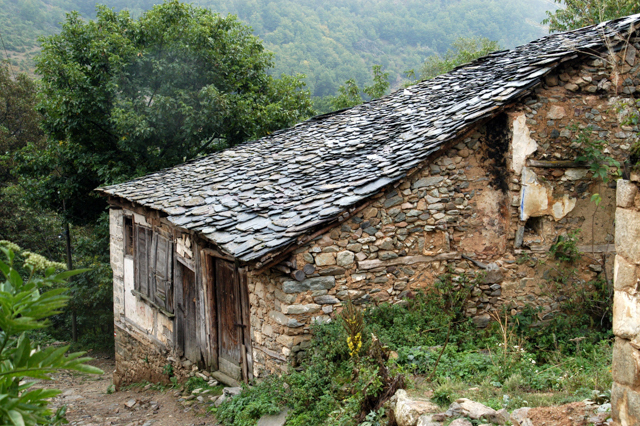 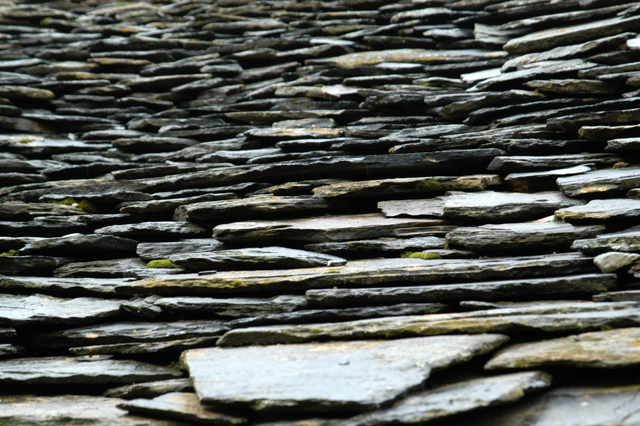 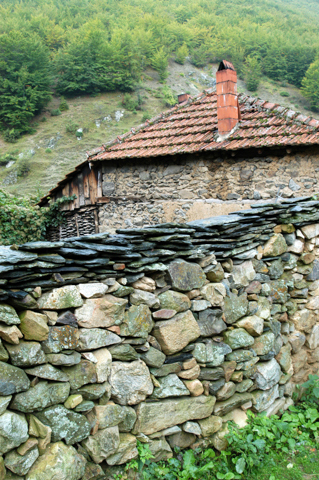 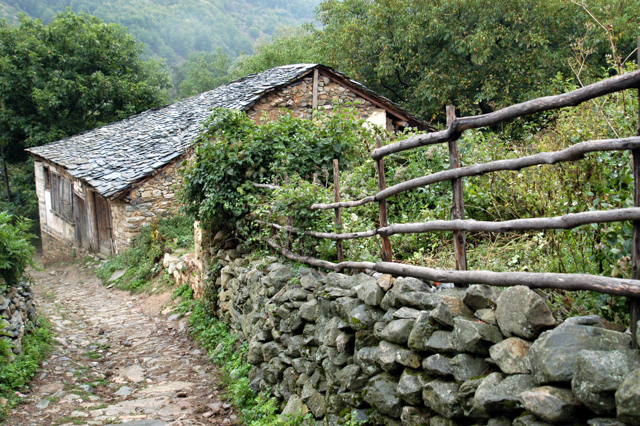 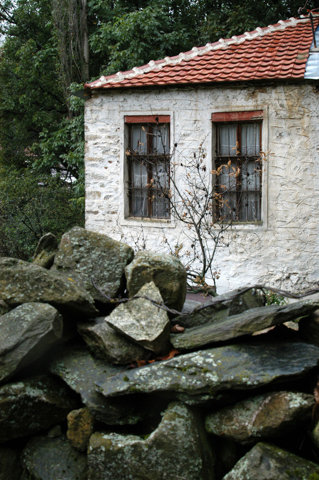 Malovište hosts great village architecture featuring stone houses with stone roofs, cobbled stone streets and stone bridges. 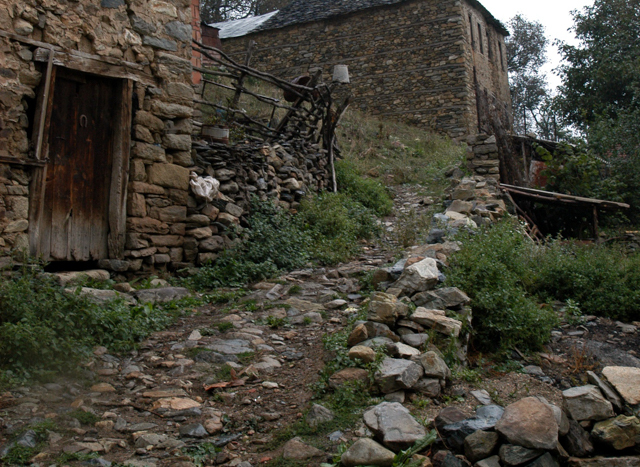 Here there is a church dedicated to St. Paraskeva (Sv Petka, Св Петка) that was built in 1856. 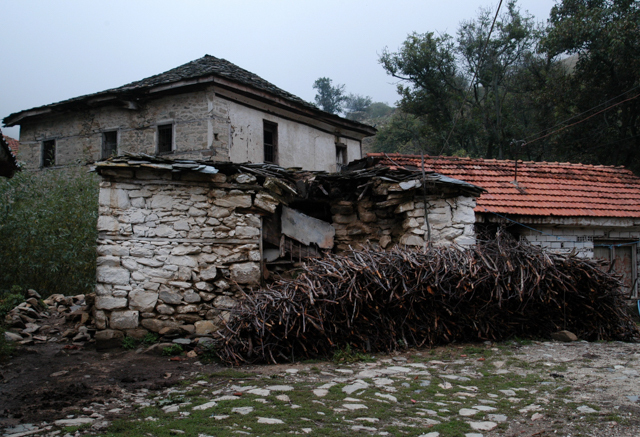 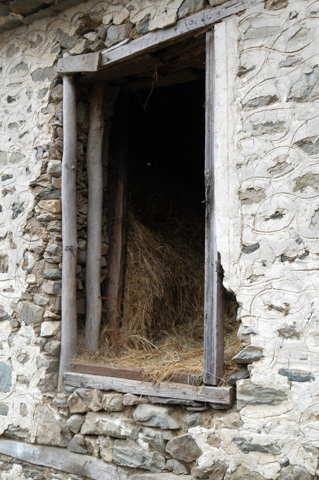 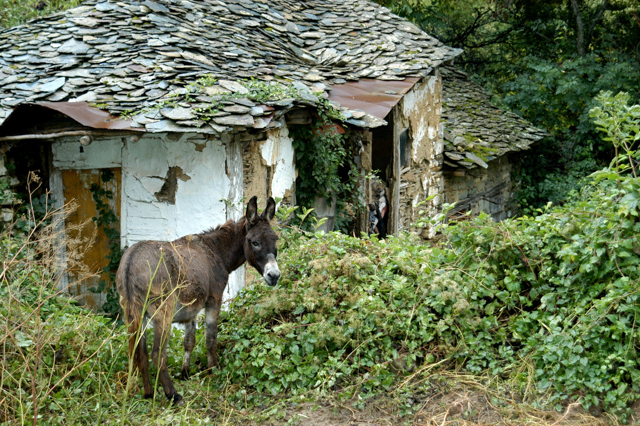 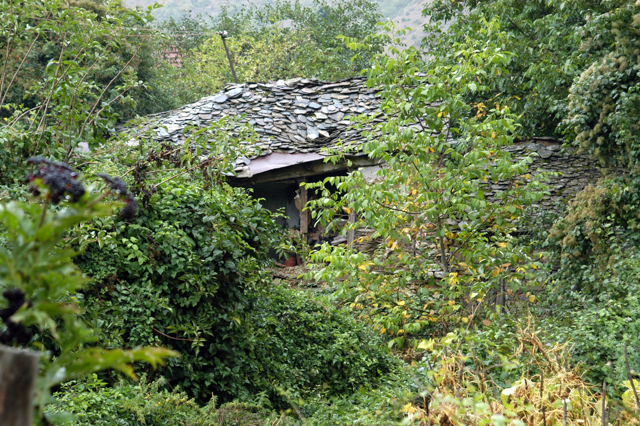 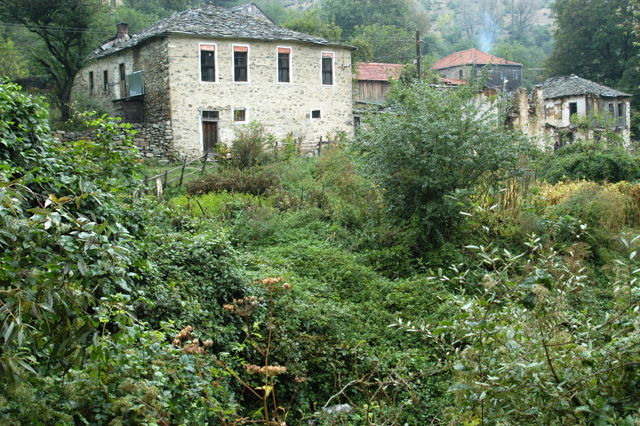 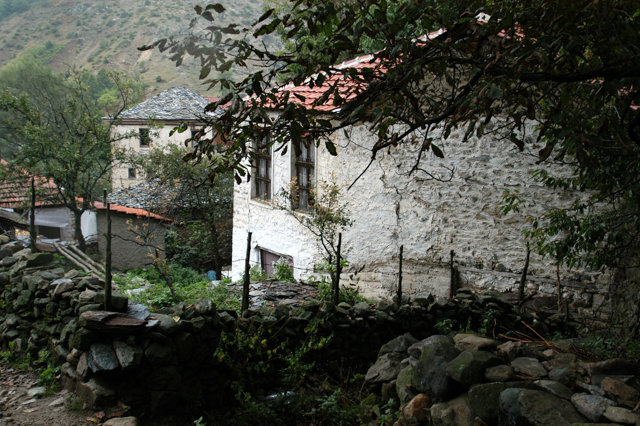 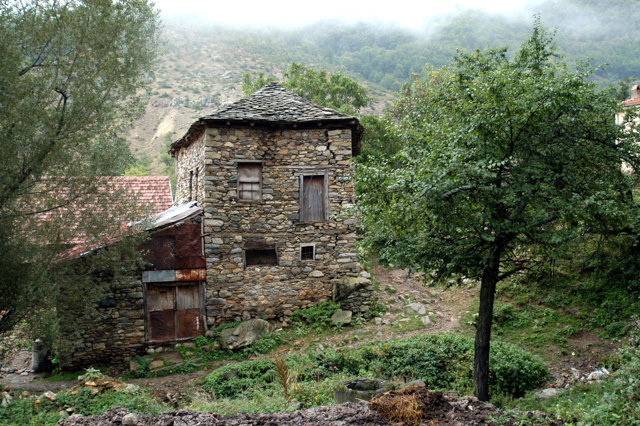 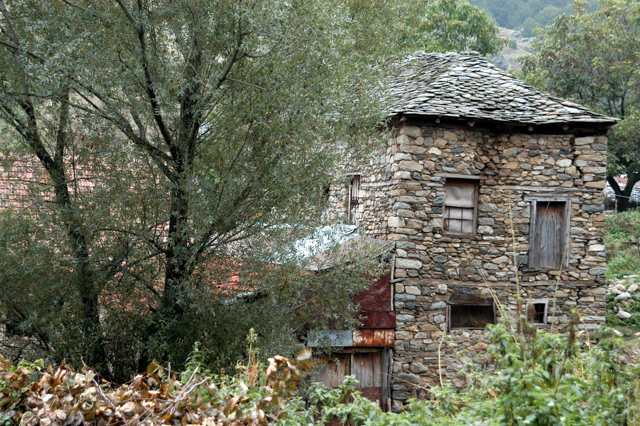 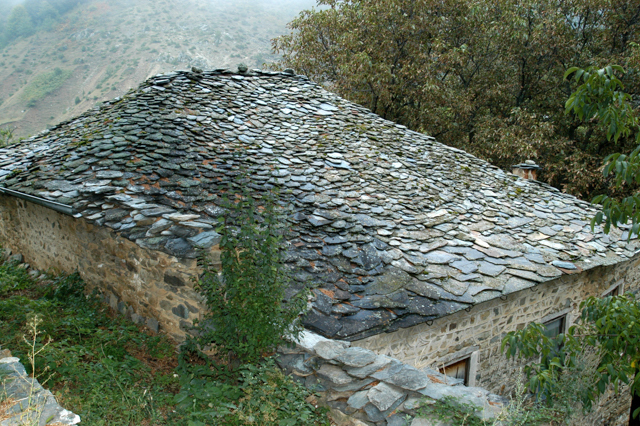 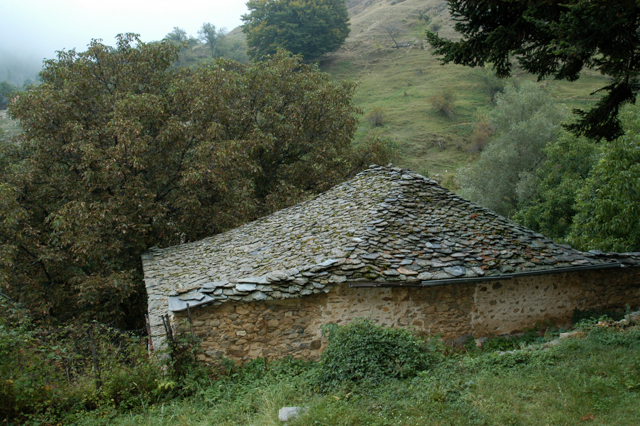 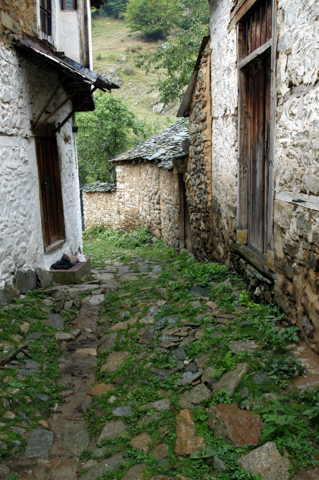 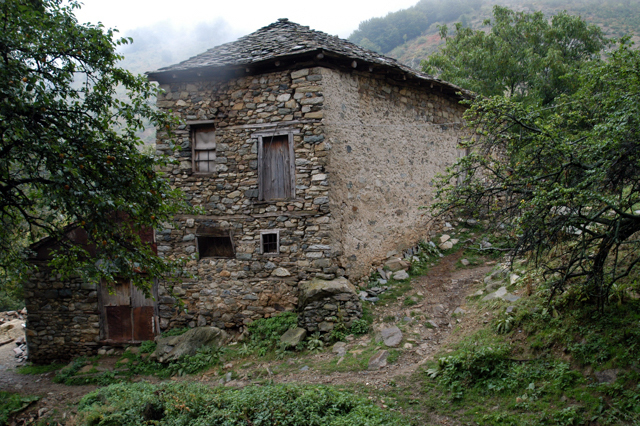 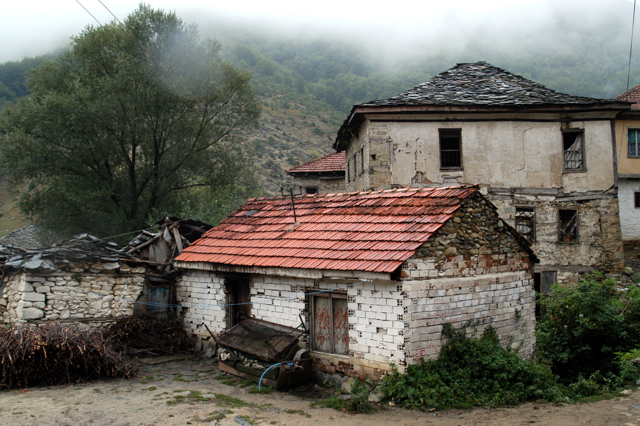 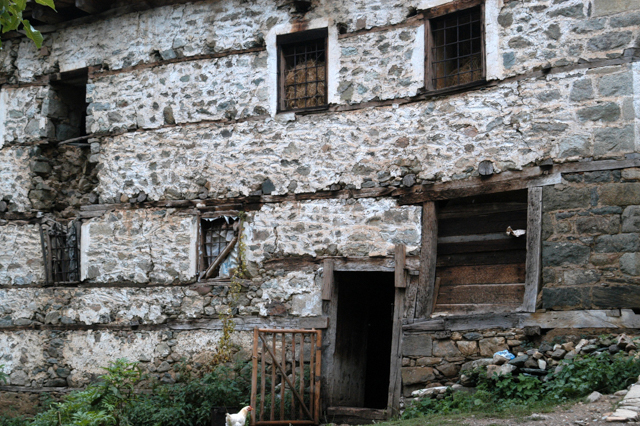 This village is inhabited mainly by Vlasi (Vlach, Cincara). 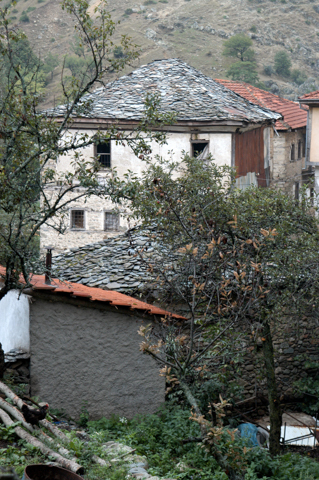 According to the 2002 Macedonian Census, Malovište had a population of 98 of which 87 were Vlachs (Vlasi). 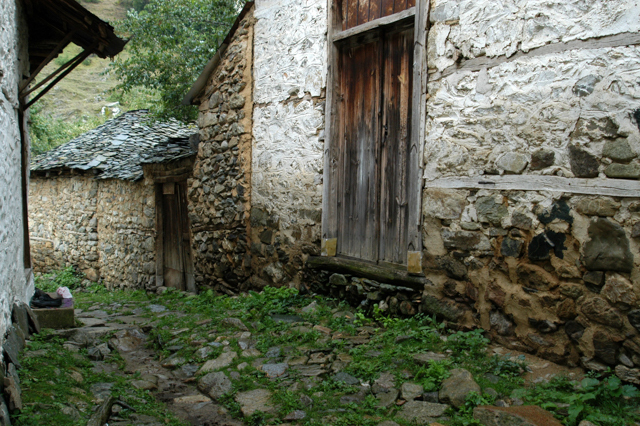 We arrived here on a rainy morning, which did not give us blue skies, but did give us a special glow and color to the stone architecture of the village.